On September 17, 2009, the Finnish government held a Metropoli Areena at Lasipalatsin aukiolla in Helsinki. The Finnish Prime Minister, Minister of Culture, Minister of Housing, authors, musicians, and mayors from other cities participated in the event. Falun Gong practitioners also took part in the activity. Among the practitioners who joined the activity, two have family members who are now unlawfully imprisoned in China. Mr. Wu Zhiping's wife has been imprisoned for almost ten years. Mr. Jin Zhaoyu's mother was arrested a year ago and was secretly sentenced. Mr. Jin does not know where his mother is now. Mr. Jin's younger sister was also forced to become homeless to avoid further persecution. Many Finnish people, including political figures, have a certain level of knowledge about Falun Gong. 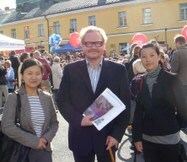 Councillor Antti Lindtman carefully listened to a practitioner talking about the persecution in China. He took a CD of the Nine Commentaries on the Communist Party and fliers with information about Falun Gong. Before he left, he said, "I will tell my family and friends about the persecution in China so that they will pay attention to the ongoing suppression." Well-known author Jari Tervo and the Mayor of Hameenlinna Tapani Hellsten were very curious about the CDs and fliers available from practitioners. They expressed the will to help more people learn about the persecution of Falun Gong in China. A Falun Gong practitioner expressed his appreciation for people's support and help. Practitioners will continue in their efforts to spreads the facts and expose the persecution until it is over. In 2008, the Finnish government rescued 12 practitioners persecuted in China and facilitated their immigration to Finland. 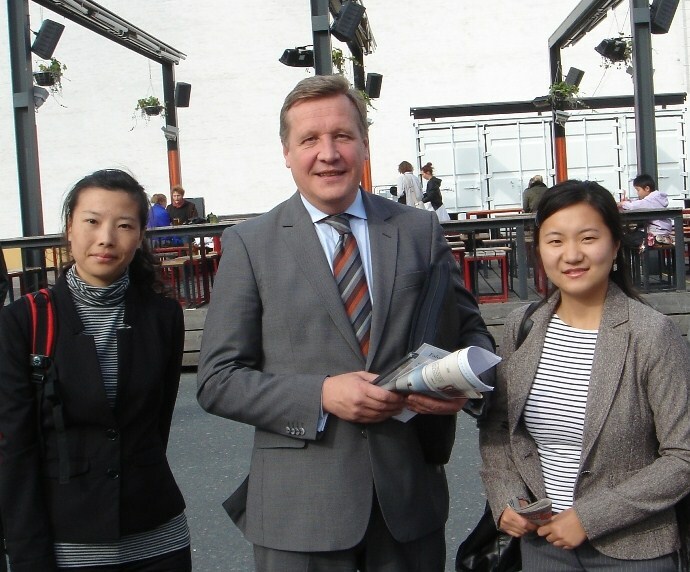 Falun Gong practitioners expressed their gratitude to the Finnish government for their support. U.N. Special Rapporteur on Torture: Regarding the Persecution of Falun Gong, "Nothing Seems to Have Changed for the Better"
UN Special Rapporteur on Torture: Regarding the Persecution of Falun Gong, "Nothing Seems to Have Changed for the Better"